In the ongoing affairs of a new administration, few evidentiary events have been as anticipated as the testimonies of James Comey and Jeff Sessions before the Senate. Both were aired live in open sessions, and it seems that especially in Washington, D.C., people were putting even Pornhub on hold to tune in. 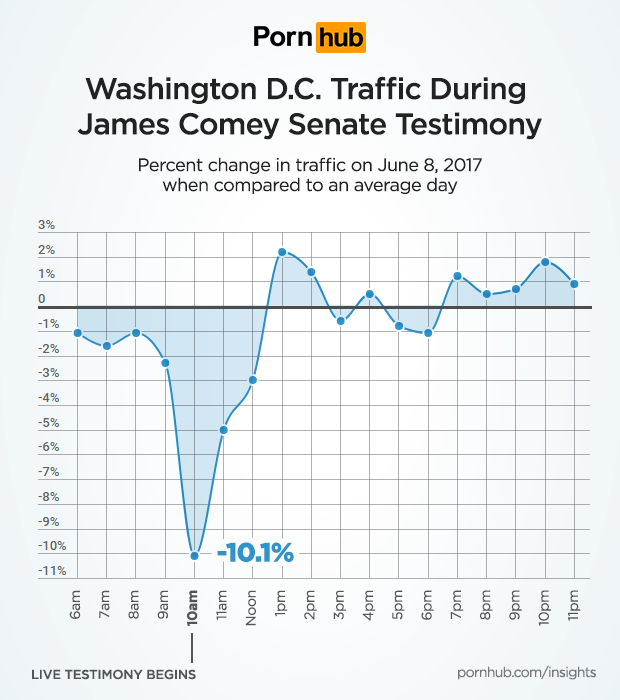 James Comey’s testimony began at 10am ET on June 8th, and compared to an average Thursday, traffic in the Washington D.C. region was down 10.1%. Traffic to Pornhub remained well below average until Noon hour, when it had a quick recovery and remained near normal levels for the rest of the day. 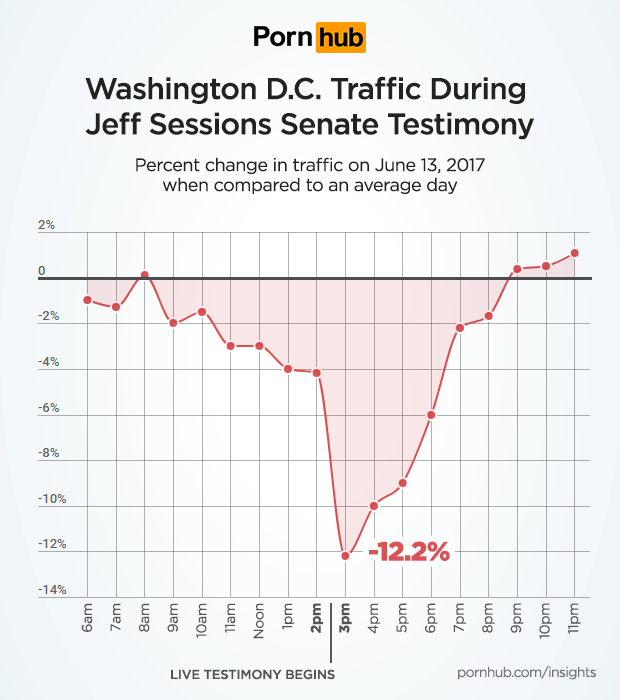 Jeff Session’s testimony began at 2:30pm ET on June 13, and caused a 12.2% drop in Washington, D.C. traffic compared to an average Tuesday. Traffic remained well below after until 7pm. The post D.C. Takes a Break for Senate Testimony appeared first on Pornhub Insights.